Jeremy Cajigas, sits on the youth advisory board over at the Citywide Youth Coalition. Jeremy has worked on issues such as Racial Profiling, Police Brutality, Immigration Rights, LGBTQ+ Rights, Juvenile Justice Reform and the Miseducation of our Education System among many other issues. Jeremy has dedicated his time to help make the new haven community better. 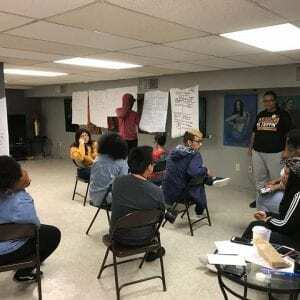 In total, Jeremy is a true organizer and leader in the New Haven community who exudes the spirit of a new generation of youth that are politically conscious and personally committed to improving the community for the better. 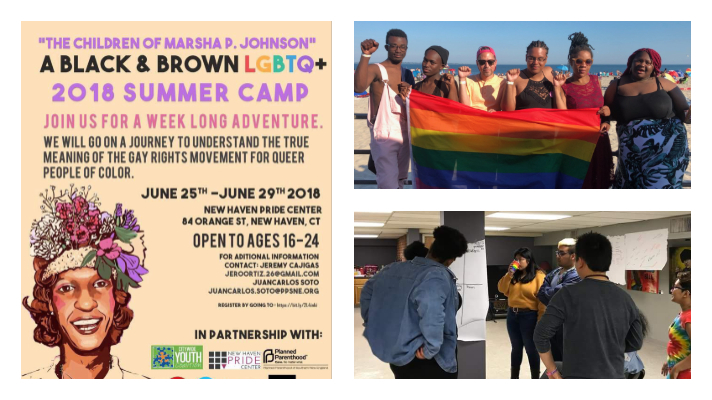 During the week of June 25th to June 29th a collaborative of four organizations got together to host the very first black and brown LGBTQ+ summer camp in the state of Connecticut. 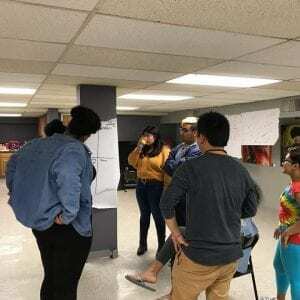 With queer youth of color needing a safe space to get together to talk about their issues and begin to organize around them the Citywide Youth Coalition, Hearing Youth Voices, Grow Hartford, and Planned Parenthood of Southern New England did their best to provide that space for youth. Understanding that with the times that we are living in it is very important that we stand in solidarity with communities who are most impacted by the systems that oppress them and queer youth of color are almost at the bottom of the totem pole. During this week long experience we dove into the history of black and brown folks in the LGBTQ+ movement, and discussed icons like Marsha P. Johnson who the camp is named after. We also talked about Stonewall and the Gene Compton’s uprising. We watched documentaries like “KIKI” to learn about the underground ballroom community which has also served as safe space for queer youth of color since before the 80’s. We talked about current issues affecting queer POC’s like homelessness, mental health, mass-murdering of trans women of color, the reality behind Pride now, racism, and the abuse and rejection we face for being queer POC’s within our communities and outside of them. 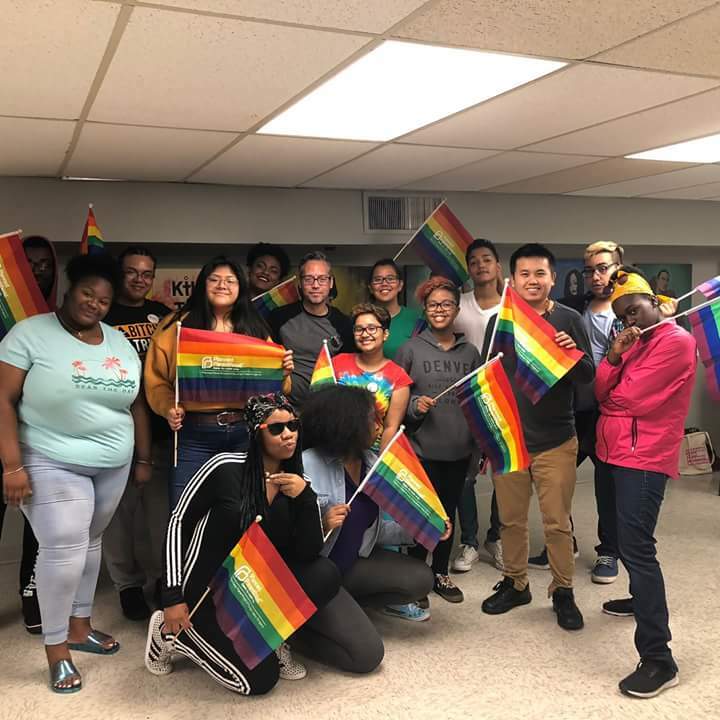 As a group we looked into the intersectionalities within the different movements like the Queer Liberation Movement, Immigrant Rights Movements, and the Black Lives Matter Movement. 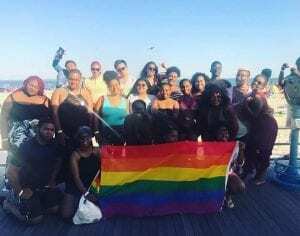 Our very last day together we took a self care trip to Ocean Beach in New London and spent the whole day enjoying each other and being queer folks of color unapologetically out in the open. What made you want to come to camp? 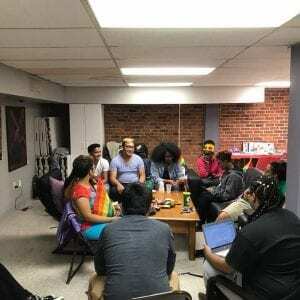 Mia– Being a black Queer Woman and wanting to learn more about queer history from both a revolutionary stand point and the ballroom culture, but also wanting to connect with other queer folks of color. Charlie– I wanted to come to the camp because I don’t often get to be in LGBTQ spaces, especially for people of color. Narlin– I saw that it was only for Queer POC’s so I knew that it was a relatively safe space for me. 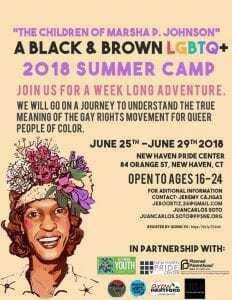 Trying to decipher your sexuality while being a person of color is a challenge outside of camp. I thought that camp could help me, help me heal from the traumas that someone who identifies the same way I do has been through. And it did! How did it feel to be in that space? Mia– I found the answer to something I always knew I needed but never knew was there. I was glad to be able to be listened to and be able to listen and learn as well. I finally found my Village. Charlie– It felt relaxing and natural to be in that sort of space. Narlin– I felt less anxious. I felt safe. I felt valid. What impact did the camp have on you? Mia– I was happy to be in that space with everyone and finally be myself. On the last day I felt a bit sad to have to depart from the people I grew so close to that week, but I was excited to know that we will continue to meet on a monthly basis. Charlie– The camp made me feel empowered and educated. Narlin– The camp had a very positive impact. I left knowing I have a community of people I could turn to. I left knowing that all the things I’ve been through are real and valid. I left knowing that I could get through this world that wasn’t made for us to survive, but that I could survive. 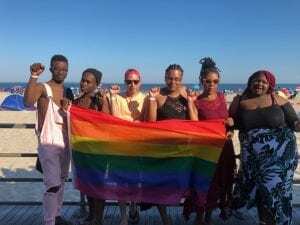 Mia– Our beach day was the best – to be able to go as a community together and be queer and proud and not be ashamed by the looks or comments of others. Charlie– I enjoyed creating connections with people just like me. Narlin– The part that I enjoyed the most, I would say would probably be meeting people. Being in a white-dominated space made me feel alone and scared, [but] once I arrived [at] the first day of camp I didn’t feel alone anymore. If you had the opportunity to do it again would you?